Introduction. Strategies for Aerobic Degradation of Nitroaromatic Compounds by Bacteria: Process Discovery to Field Application. Molecular Biology of Nitroarene Degradation. Perspectives of Bioelimination of Polynitroaromatic Compounds. Identification of Genes Involved in Picric Acid and 2,4-Dinitrophenol Degradation by mRNA Differential Display. Microbial Degradation of Mononitrophenols and Mononitrobenzoates. The Role of Nitrate Ester Reductase Enzymes in the Biodegradation of Explosives. Anaerobic Transformation of TNT by Clostridium. 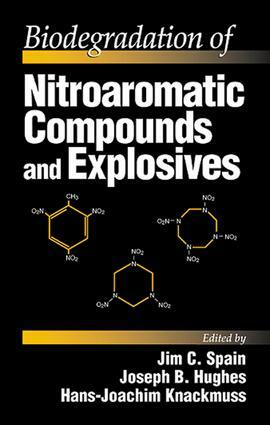 Fungal Degradation of Explosives: TNT and Related Nitroaromatic Compounds. Phytoremediation and Plant Metabolism of Explosives and Nitroaromatic Compounds. Biodegradation of RDX and HMX: From Basic Research to Field Application. Subsurface Chemistry of Nitroaromatic Compounds. Composting (Humification) of Nitroaromatic Compounds. Application and Costs for Biological Treatment of Explosive-Contaminated Soils in the United States.